Mom's Gone Bronson! : Make the #SwitchtoSheba today! + Giveaway! This post is sponsored, but all opinions are my own, based on my own experiences with the product provided. Your opinions may differ. Sheba is a cat food that has meat as the first ingredient and has no corn, wheat or soy and also comes in handy sized packs! 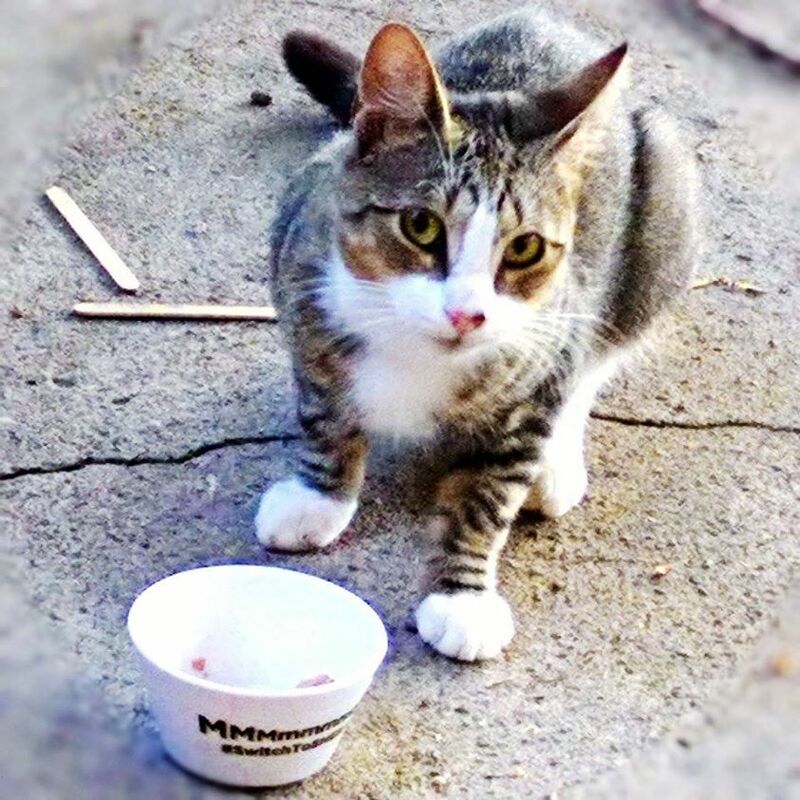 This is Pepper, Pepper usually doesn't eat Sheba, but I tried it out on her tonight and she lapped it up with gusto, as we sat and grilled outside. As I finished my grilled vegetables, Pepper finished off her first bowl of Sheba and I think she is sold! It is easy to see why Sheba makes a happy cat, and we have made the switch! Follow fellow kitties as they, too make the #switchtosheba and join in with your own furry friends with the hashtag on social media. Pepper loves it, and your cats, can, too! Want to win a years supply of Sheba? 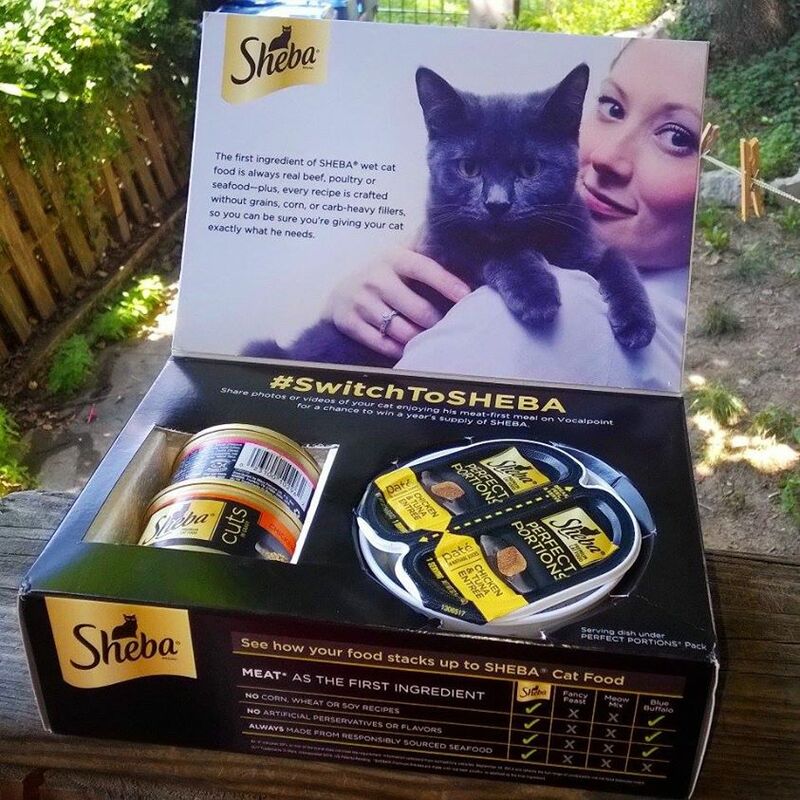 Upload a pic of your cat eating Sheba, with hashtag #Switchtosheba, on Twitter or Instagram, for the chance to win! More details at: Vocalpoint, here!